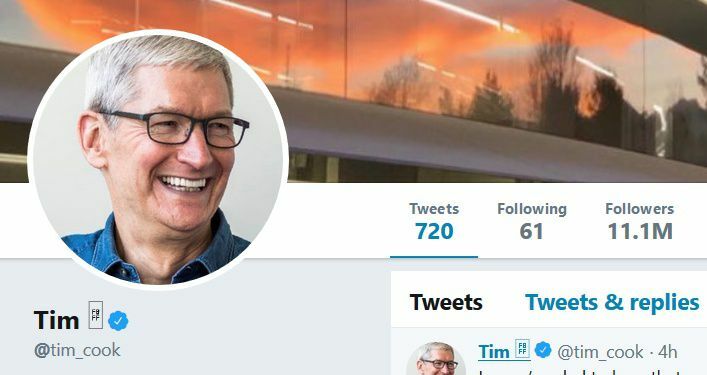 Apple CEO Tim Cook has slyly changed his name to “Tim Apple” on Twitter, an apparent reference to the president of the United States, perhaps mistakenly, messing up his name at a meeting. 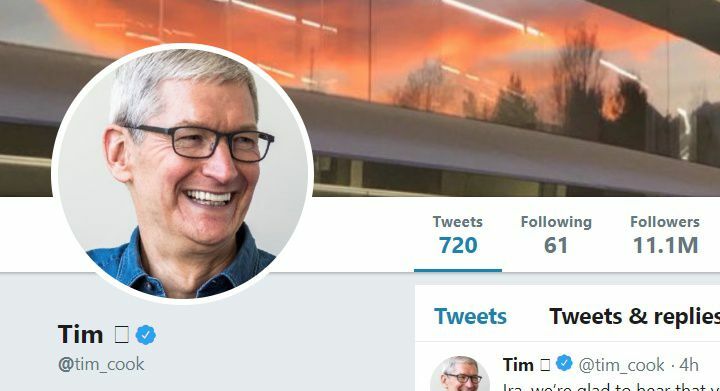 Technically, it’s “Tim ,” but only Mac and iOS users can see the Apple logo symbol. 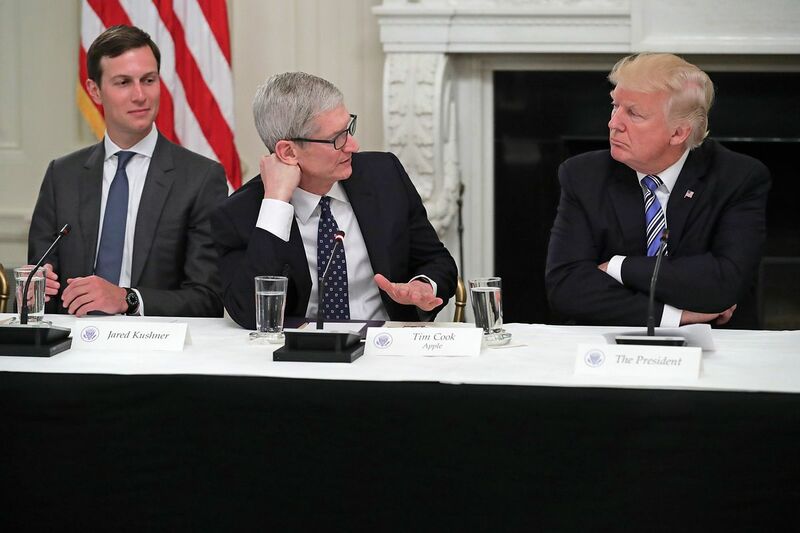 Last night at a typical American Workforce Policy Advisory Board meeting, President Trump flubbed Cook’s name and unmistakably called him “Tim Apple.” Shortly after The Verge first reported the mistake, it took off on social media, ultimately becoming a trending Twitter moment. 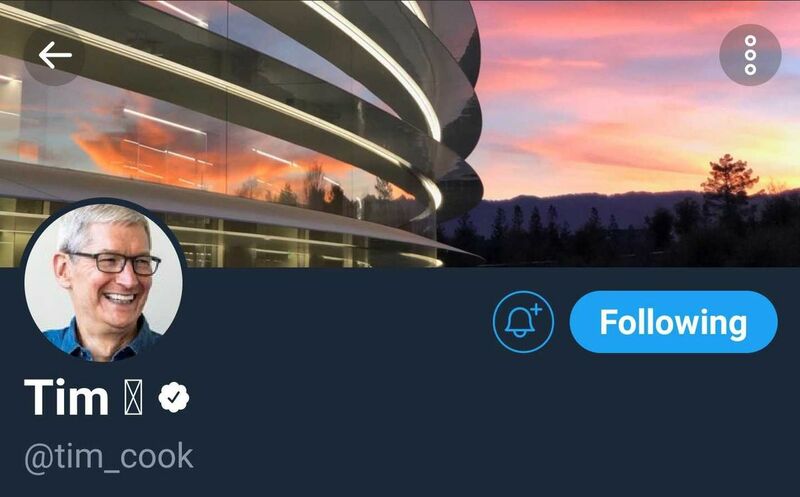 Now, Cook has changed his display name on Twitter in an apparent attempt to laugh alongside everyone on the Internet. The Apple character isn’t a Unicode symbol and is only visible on Apple operating systems, unfortunately. So if you’re using an Android or Windows device, you’ll only see a blocked-out square or another “failed to render” symbol.